The first thing Mathieu Darche wanted to do when he walked through his front door on Friday afternoon was to hug his kids. Darche, along with other players, had spent part of the day handing out mini sticks, hats and photos, signing autographs and chatting with kids at the Montreal Children’s Hospital on December 7. It was an eye-opening experience for all. Which is why Darche, 36, made sure to spend some quality time with his two kids when he returned home. Initially, Darche, who began his big-league career in Columbus, wasn’t sure what to expect in terms of support from fellow players, sponsors stepping up or just how the whole experience would turn out. It couldn’t have turned out any better. 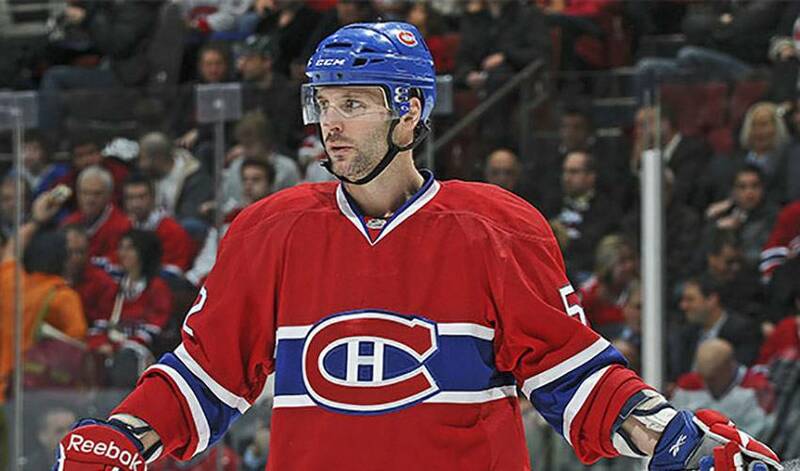 Darche was joined by Brian Gionta, Erik Cole, Josh Gorges, Steve Begin and Francois Bouillon. Players also cooked dinner for families last week at a local Ronald McDonald House, an initiative spearheaded by Colby Armstrong and his wife. Although Darche couldn’t make it, he sent gifts and his wife made dessert. Over his 250 NHL regular season games, the forward has been part of several of these types of visits. There is something about Montreal, however, that seems to make them extra special. As for what Darche will take away from the visit, putting his own life into perspective tops his list.